The trial began with the Crown Prosecution Service, arguing on behalf of the Indian government, presenting its opening arguments in the case which focused on loans totalling around Rs 2,000 crores sought by the erstwhile Kingfisher Airlines from a consortium of Indian banks. 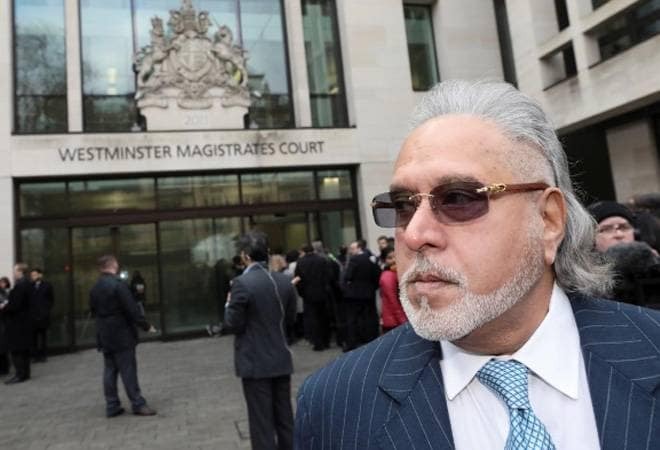 The extradition trial of Vijay Mallya, wanted in India on charges of Rs 9,000 crores fraud and money laundering, began on Monday at a UK court here, with the prosecution asserting that the embattled liquor baron had a case of fraud to answer. The trial, however, was briefly halted as the courtroom had to be evacuated due to a fire alarm. The 61-year-old tycoon and others waited outside the Westminster magistrates court during the fire drill. The trial began with the Crown Prosecution Service (CPS), arguing on behalf of the Indian government, presenting its opening arguments in the case which focused on loans totalling around Rs 2,000 crores sought by the erstwhile Kingfisher Airlines from a consortium of Indian banks. The CPS admitted that there may have been irregularities in the internal processes of the banks sanctioning some of those loans but that would be a question to be dealt with at a later stage in India. The focus of our case will be on his (Mallya's) conduct and how he misled the bank and misused the proceeds, said CPS barrister Mark Summers. The CPS noted that in all the loans sought, loss-making Kingfisher Airlines had relied on nearly the same set of security pledges, which included the UB Groups reputation, Kingfishers own brand value, a promised infusion of equity funds and a projected return to profit by the airline by February 2011. The airline had claimed that it had put proactive measures in place to improve performance, the CPS noted. However, it was also a time when according to an industry analysis, the state of the airline industry was described as grim and as being in intensive care. It was not a scenario in which a state bank would have entertained such loan requests, the CPS added. Mallya's barrister, Clare Montgomery, told the judge that she had hoped to set out the defences opening arguments on the first day as well. But the CPS said it will not be rushed as it lays out the complete chronology of events. Meanwhile, Mallya watched the proceedings from behind a glasswindowed dock. His defence team tried to get the judge to allow him to sit outside the dock near his defence team to access some of the complicated paperwork being relied upon, but the judge denied that request saying all defendants are expected to sit in the dock. However, the judge has directed that a table be provided to Mallya for easier access to his paperwork. Earlier, Mallya looked relaxed when he entered the court to stand trial on charges of fraud and money laundering related to his erstwhile Kingfisher Airlines owing several Indian banks around Rs 9,000 crores. THESE (allegations against me) are false, fabricated and baseless, Mallya told reporters outside the court ahead of the hearing. A four-member CBI and Enforcement Directorate (ED) team from India had also arrived at the court ahead of the trial, one of whom nodded when asked they were confident about their case. Mallya, who has been out on bail since Scotland Yard executed an extradition warrant in April this year, will be in the dock for the duration of the trial scheduled to end on December 14. A judgment in the case, being presided over by Judge Emma Louise Arbuthnot, is unlikely until early next year. The CPS will need to demonstrate a prima facie case by producing evidence to show that the criminal charges against Mallya are justified and that he should be extradited to face the Indian courts. Prison conditions in India are expected to be at the forefront during the hearing, with the Indian government providing assurances of protection of Mallya's human rights. The tycoon has been on selfimposed exile in the UK since he left India on March 2, 2016. He is on strict bail conditions, which include providing a bail bond worth 650,000 pounds, surrender of his passport and a ban on possessing any travel documents.